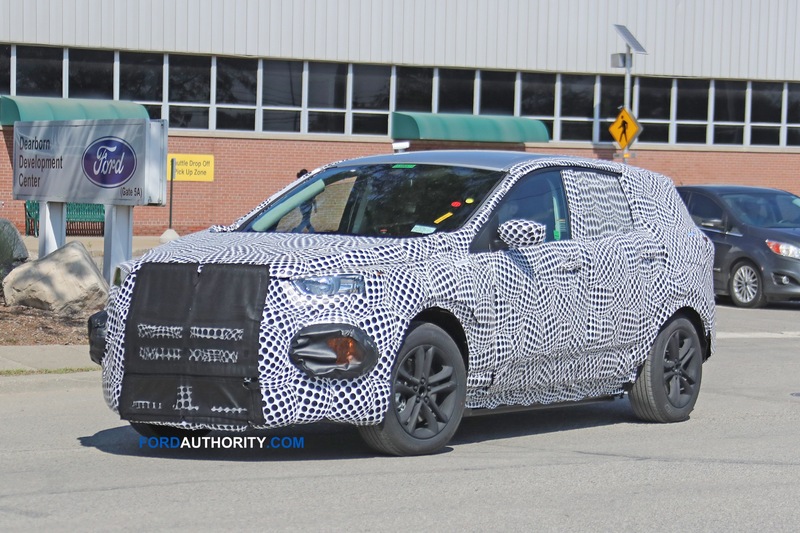 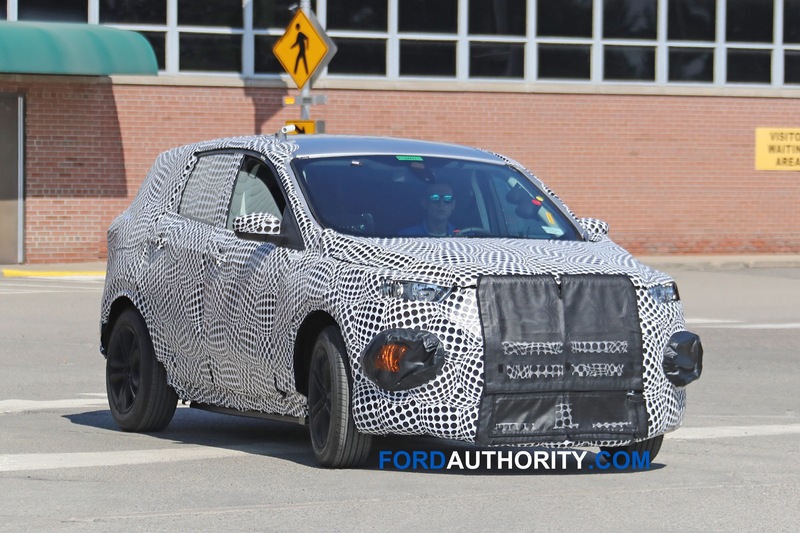 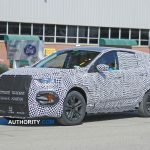 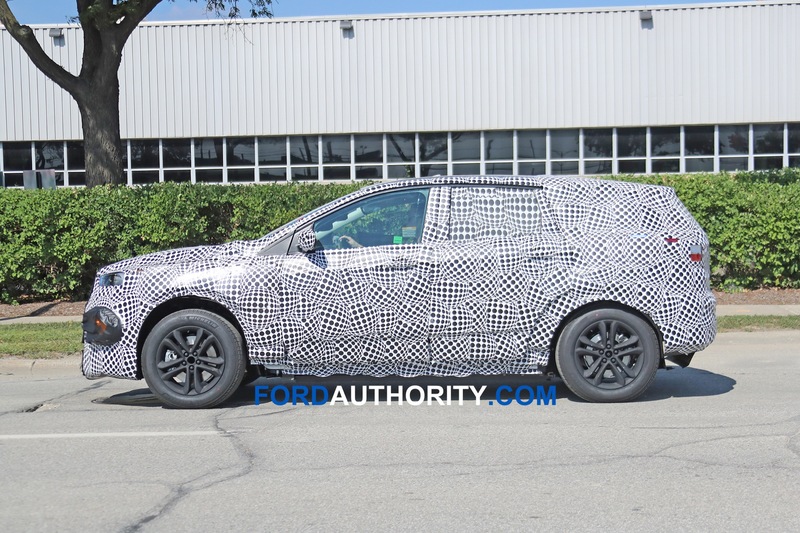 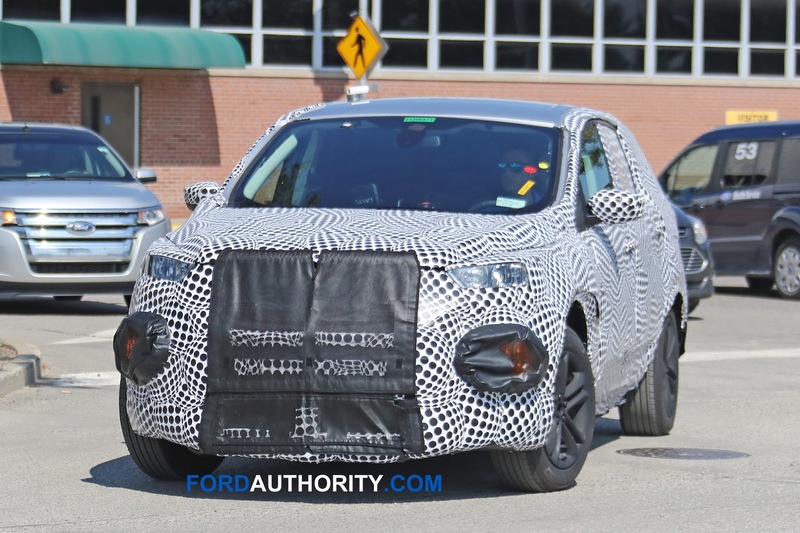 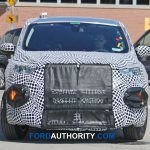 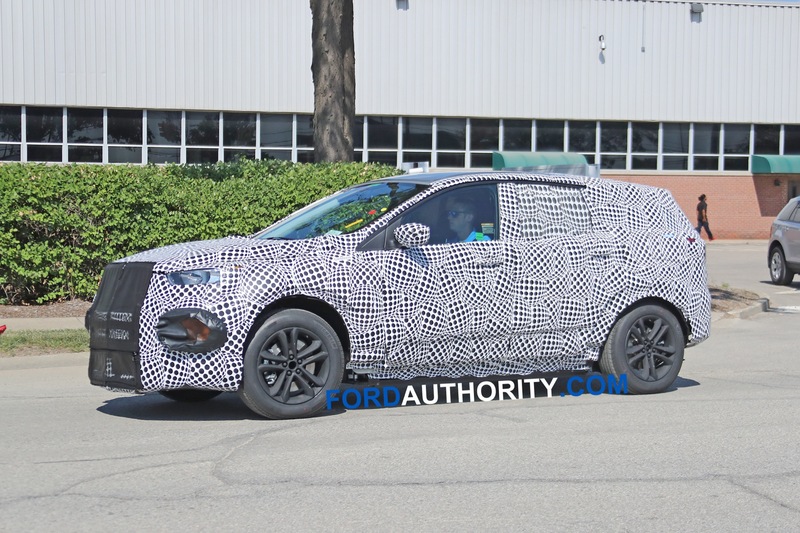 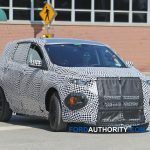 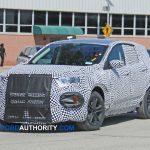 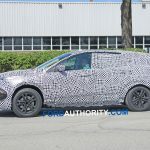 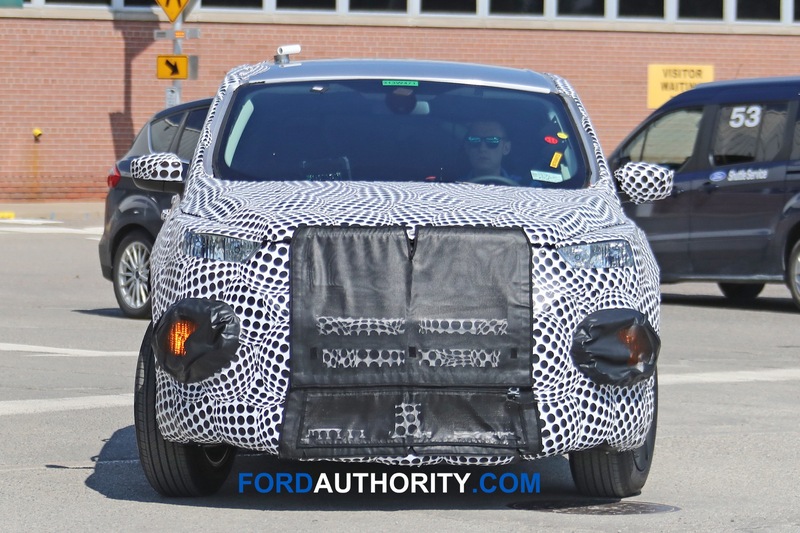 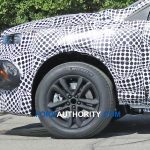 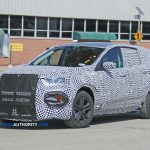 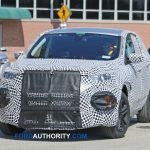 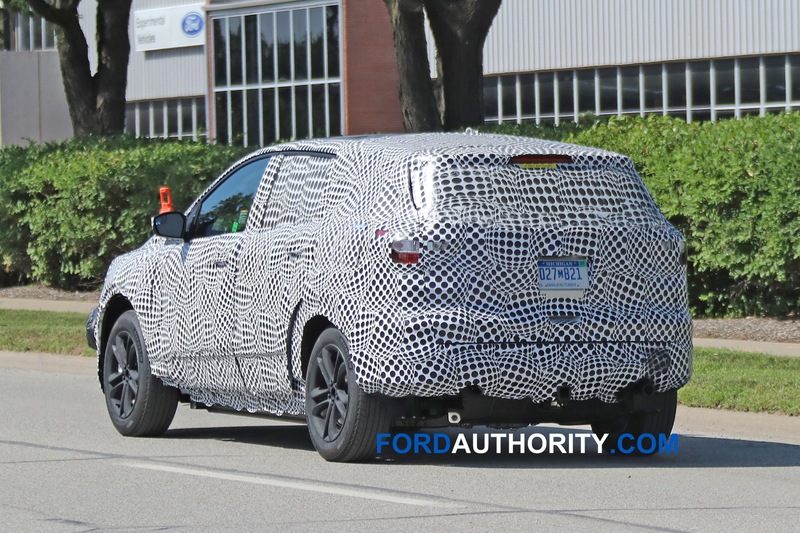 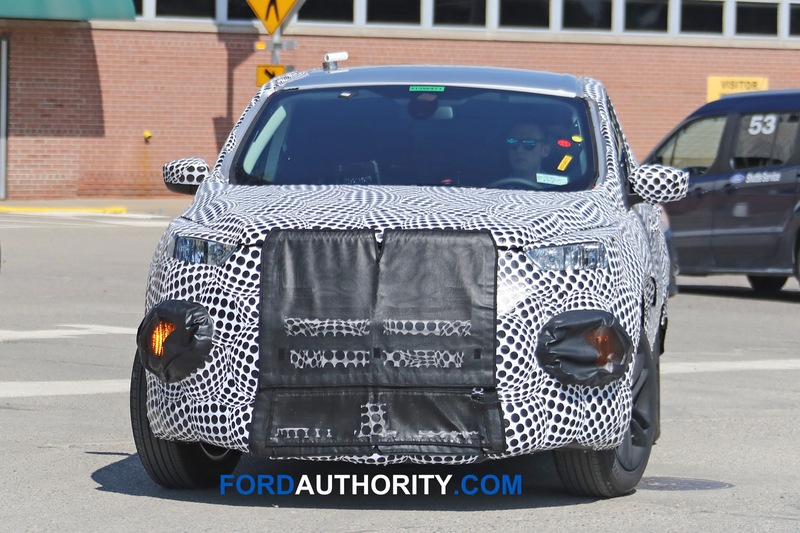 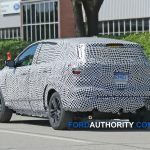 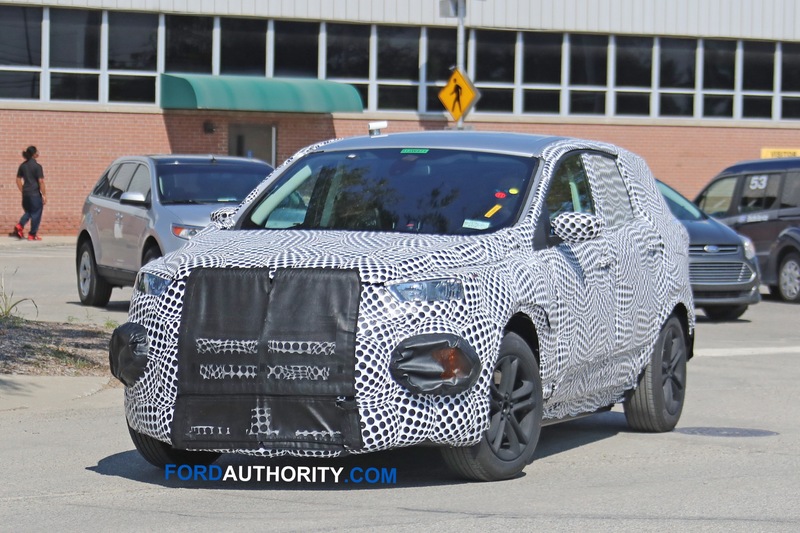 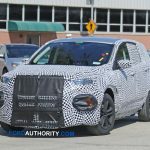 A prototype for Ford’s forthcoming performance-oriented electric crossover, which most certainly will not be called “Mach 1”, might just have been spied at Ford’s Dearborn Development Center. 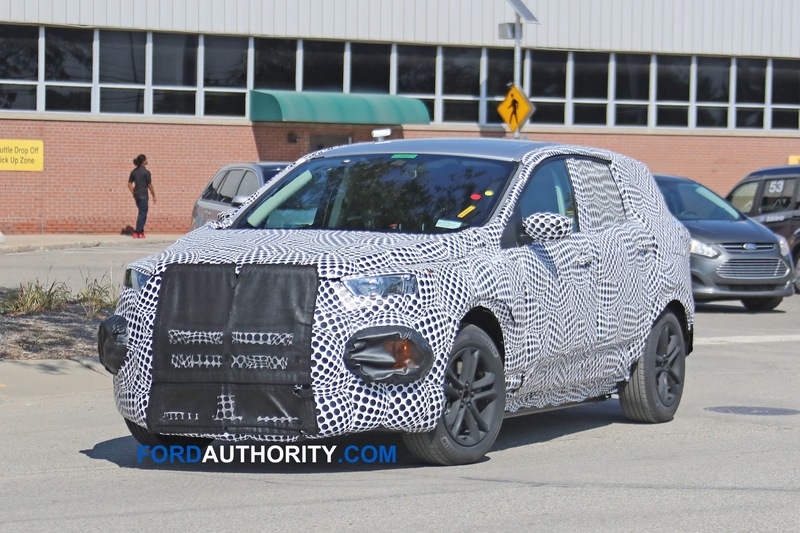 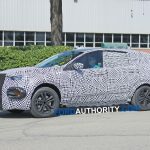 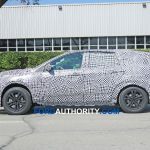 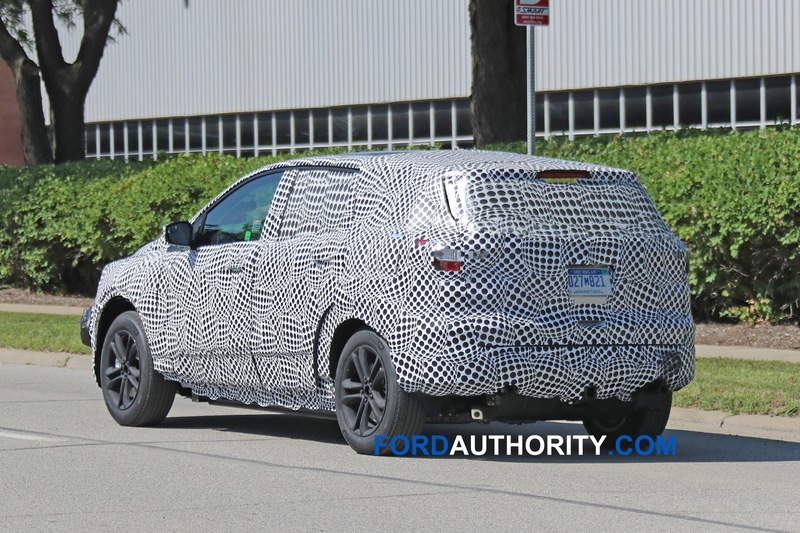 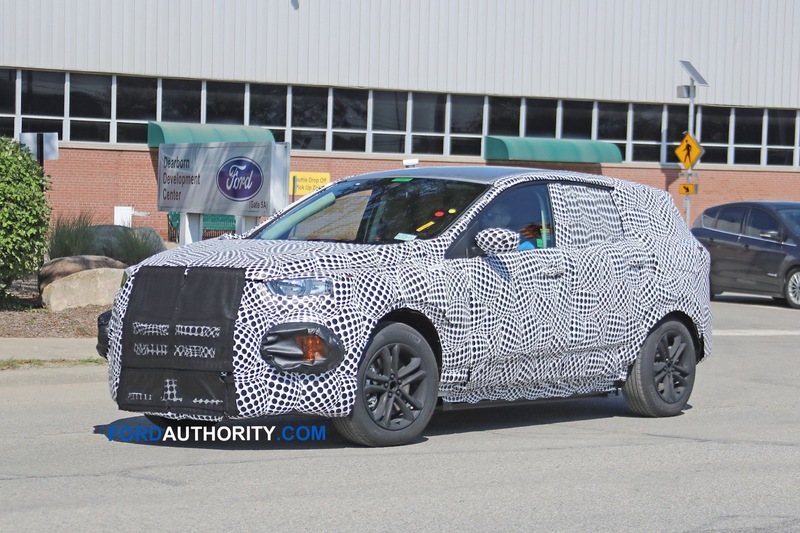 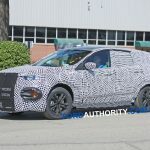 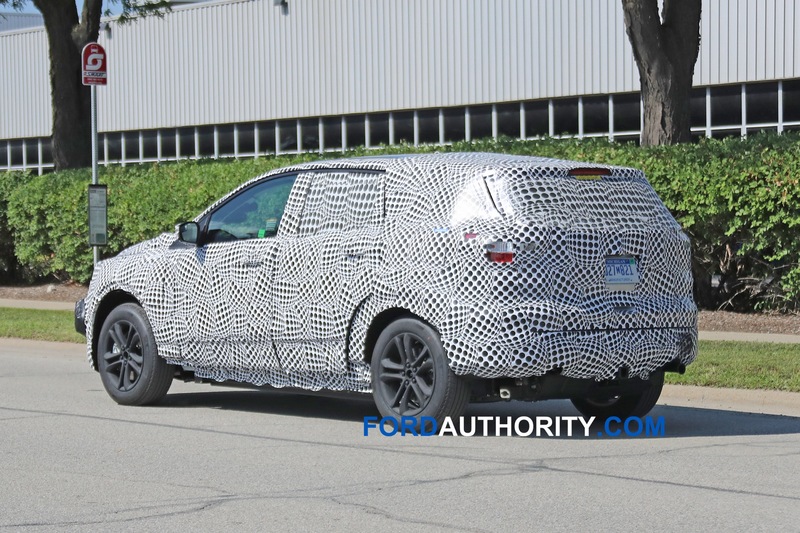 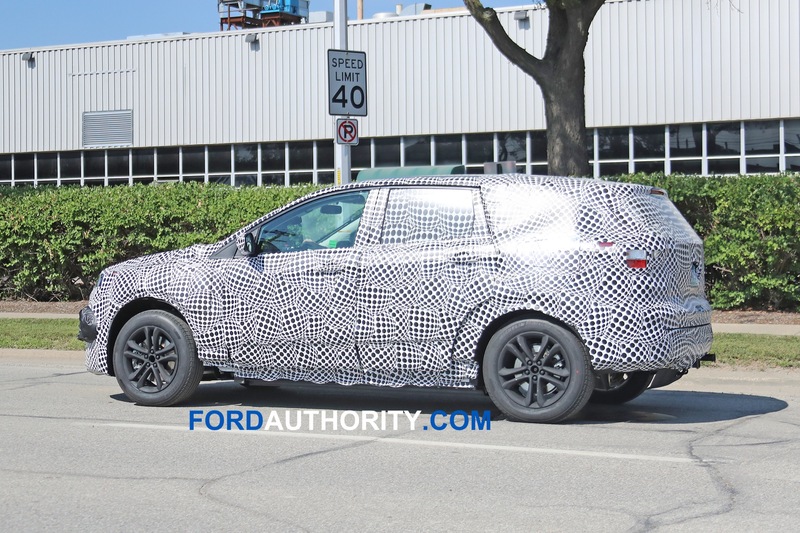 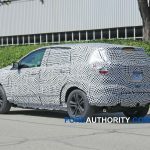 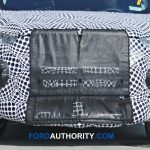 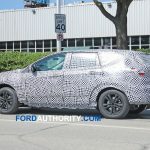 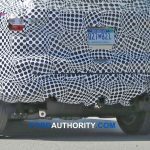 The camouflage-clad prototype is quite a bit bigger-looking than we’d anticipated from the future vehicle, and it seems to bear quite a resemblance to the Edge and the next-generation Escape, although Ford has assured us in the past that the sporty EV would have plenty of recognizable Mustang design cues. 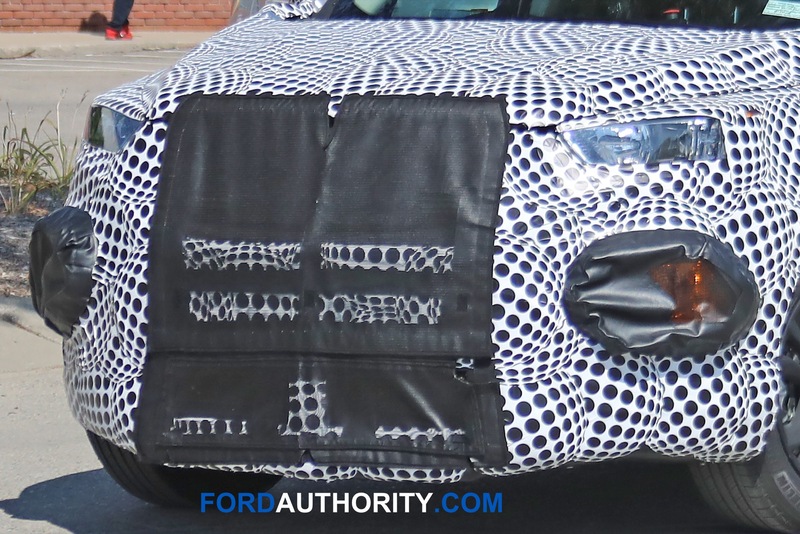 Bear in mind: some of the bulk appears to come from extra cladding that’s been affixed to the body in certain areas. 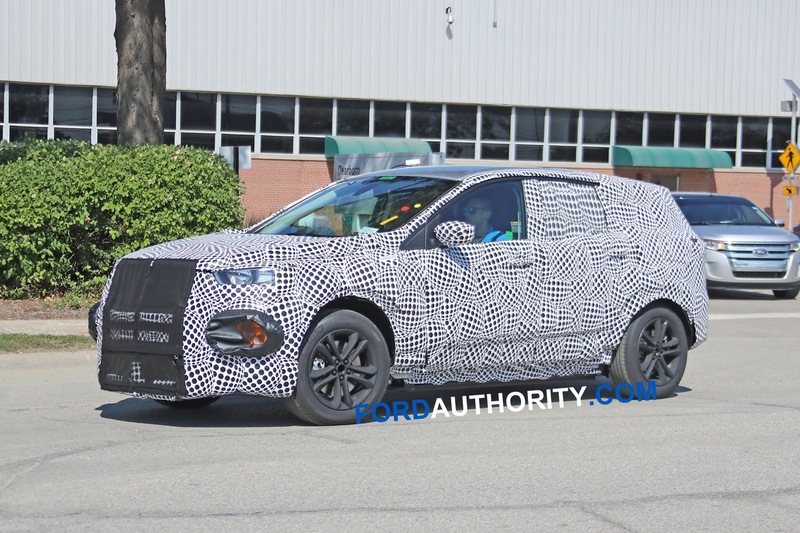 Try not to be too surprised when the production version has a bit of a different profile. 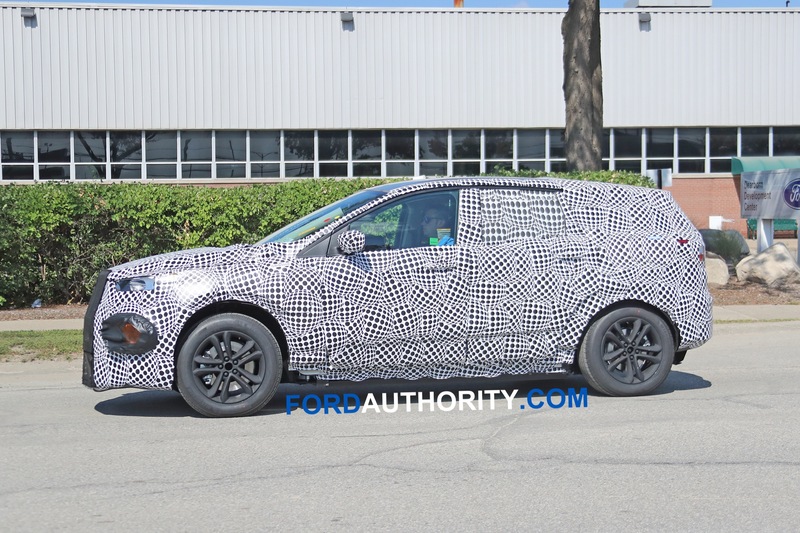 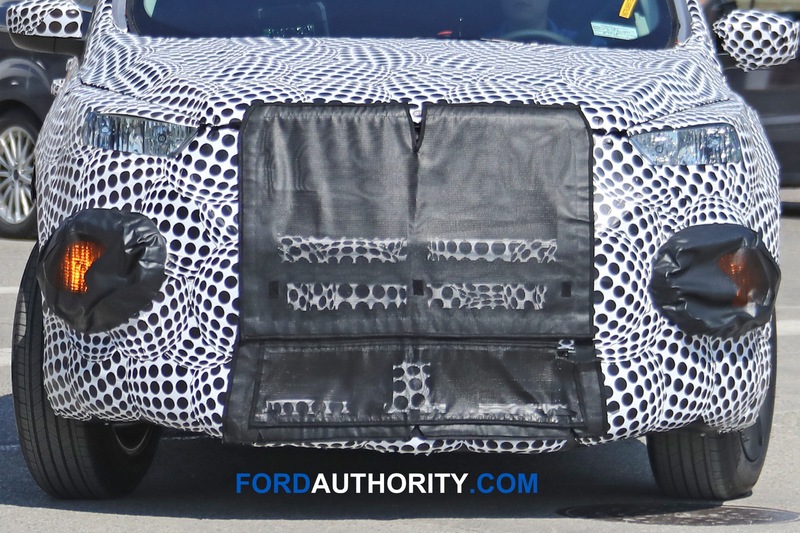 Ford seems to have gone to some lengths in order to disguise the prototype’s battery-electric-propulsion nature, installing a suspect black exhaust tip at the rear of the vehicle and what appears to be a mock fuel filler door on the drivers side. 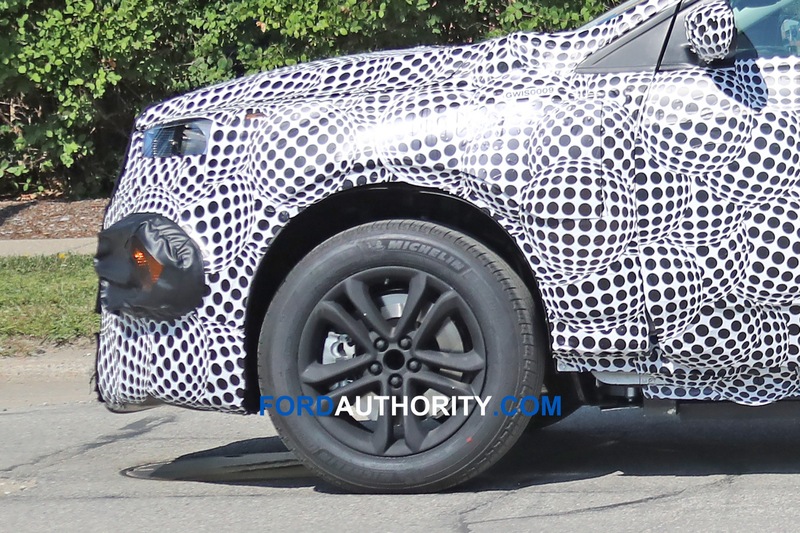 It looks like they even smeared a bit of “soot” on the rear bumper just above the exhaust tip. 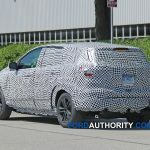 Not only that, but the rear cladding extends remarkably far downward in an apparent attempt to conceal the prototype’s propulsion system from view. 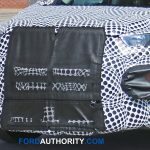 Ford first floated the idea of a performance-oriented battery-electric crossover at this year’s Detroit Auto Show in January, showing a cryptic video that seemed to suggest the new model would be a cross between the Ford Mustang pony car and Ford Explorer crossover, only, like, propelled by electrons and whatnot. 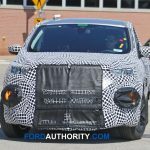 Ford’s presentation floated the name “Mach 1” as a potential moniker for the Mustang-infused battery-electric crossover, only to be derided by automotive enthusiasts who were less than thrilled at the thought of the name being used in such a way. 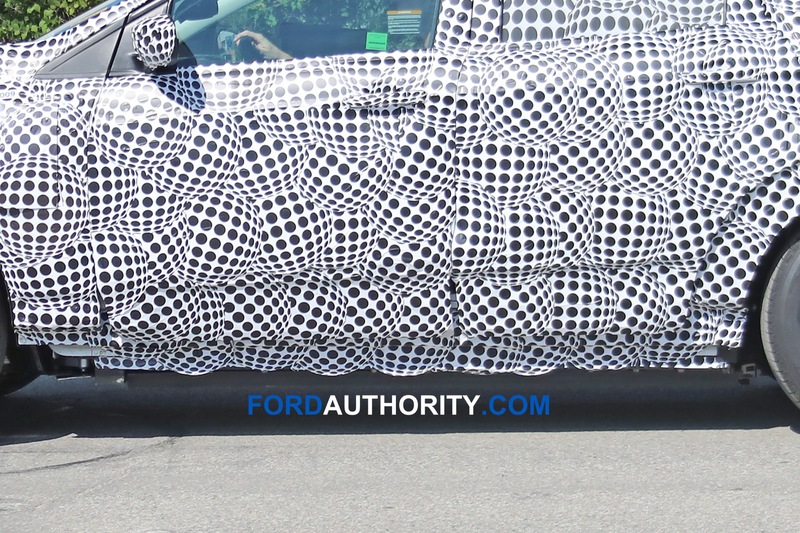 Later, Ford assured fans that the “Mach 1” nameplate was never a serious suggestion – that the automaker was simply trying to evoke a certain feeling in order to quickly communicate what the product was all about. 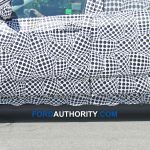 Whatever it’s to be named, Ford’s forthcoming performance electric crossover will debut a new scalable vehicle architecture specially-tailored to the automaker’s BEVs. 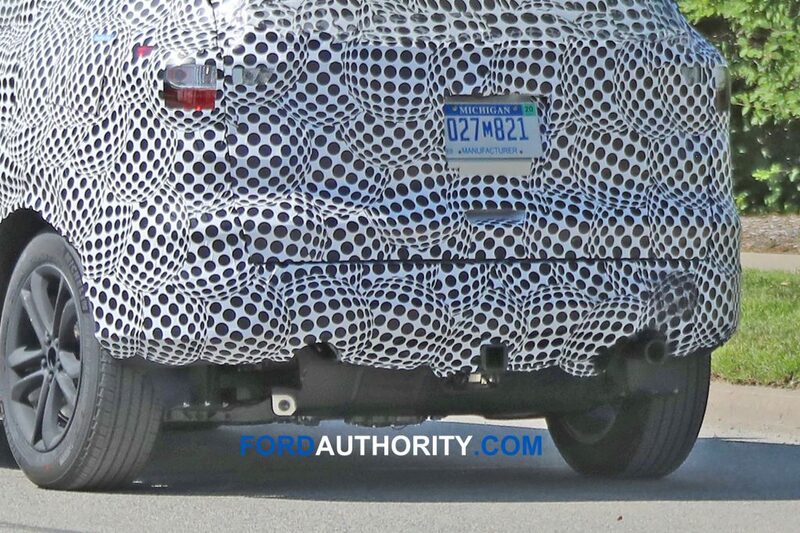 Check out all the spy shots below.